Natural Arthritis Relief details a unique method of reversing Rheumatoid Arthritis Symptoms by removing numerous arthritis triggers as well as toxins using a simple 5 step natural process. This natural method also addresses gastrointestinal tract problems such as bacterial and fungal infection which can trigger an inappropriate Immune system response, (resulting in painful & swollen joints, I.e. Arthritis). This is a simple, powerful & natural self treatment process which borrows it’s formulation directly from tried and tested, facts as well as age old remedies. This method of arthritis treatment is not some miracle breakthrough rubbish, there is no magic overnight cure for rheumatoid arthritis. But there is a natural solution, a solution that works. It’s a growing belief among many that arthritis, especially Rheumatoid Arthritis, is a symptom of the body’s intolerance to certain toxins and environmental pollutants. The truth is that these toxins may not be what you expect them to be. 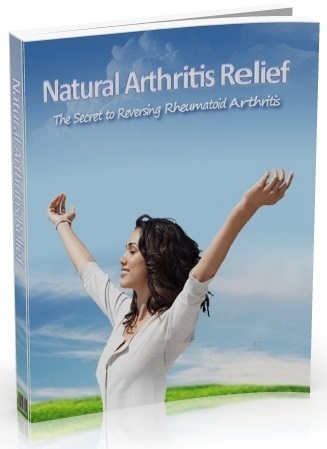 Throughout this ebook we will attempt to uncover the real reason you suffer with Rheumatoid Arthritis and more importantly how you can reverse the symptoms in weeks without medication.